Dehydration in dogs is a common canine problem that can have dire side effects if not checked early. Fortunately, it is possible to diagnose your dog for dehydration at the comfort of your home. What’s more, there are also inexpensive solutions on how to rehydrate a sick dog without having to visit a vet clinic. 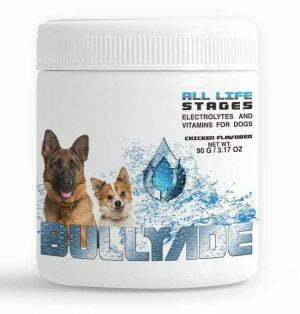 Bullyade can also help rehydrate your dog by adding it to your dog’s food or water. Dehydration is when your pooch is losing more water in his body than he is consuming. How frequently your pup gets dehydrated depends on his age, size, and health. Puppies and senior dogs are more likely to suffer dehydration compared to mature adult dogs. Toy breeds like poodles and Chihuahua lose water fast because of their tiny bodies. In many cases, the loss of water is abysmal and is easily taken care of with a bowl of clean drinking water for bingo. The case is totally different if dehydration in your dog is caused by sickness. Sickly dogs don’t just lose their body water, they also lose vital electrolytes, vitamins, and minerals that are vital for their health. Heavy dehydration will be experienced if the dog is vomiting and diarrhea constantly. If this is happening, it is the time you knew the vital tips on how to rehydrate a sick dog while at home.vets. There are those early signs of dehydration in your dog you should always look out for. It normally begins with mild symptoms which if overlooked can escalate to serious symptoms that require a professional vet to fix. Detecting dehydration issues early can save you the trouble. It’s easy to dismiss your dog’s panting as a normal reaction to hot weather. While Bingo is trying to cool himself from the heat, he could also be expressing a feeling of thirst. Panting is often accompanied by rapid swallowing as he tries to get rid of the dry feeling in his mouth. With time, the thirst will start wearing your pooch down. You will notice he tends to sleep a lot through the day and does not engage in much play. At this point, you will start noticing other outer symptoms that should be an instant red flag. The urine of a dehydrated dog usually has a strong yellowish (or orange) color. Bingo may also start to pee less often than he used to. You would want to check his drinking bowl and see if he is drinking enough. If his water bowl remains untouched, there could be an underlying health issue that needs to be checked. Besides not drinking his water, your pup may also leave his meals untouched. This will seem strange to you especially if he is passing up his favorite brand of dry kibble. However, just like other mammals, dogs need water more than food. In fact, dogs can go for weeks without food, but cannot survive several days without water. A dog that is well-hydrated normally has shiny alert eyes. A dehydrated dog will have dull and sunken eyes. This expression is normally accompanied by the lethargy we mentioned earlier. If your dog is healthy, he should not face any of the above symptoms of dehydration. Once a while he may pant or pee yellow. Nevertheless, once he has his drinking water, he will be fine. On the other hand, a sickly dog that has diarrhea and vomiting as part of the sickness symptoms will almost have all these symptoms. How to rehydrate a sick dog begins by taking your pup to a vet. He needs to get treated for the underlying disease to completely get rid of the cause. Next, the vet will place your dog on a sub q fluid drip to make up for lost body fluids. Sub q fluids are important to replenish the severely lost electrolytes and minerals in his body. It’s also possible to administer Sub q fluids at home under the direction of your family vet. 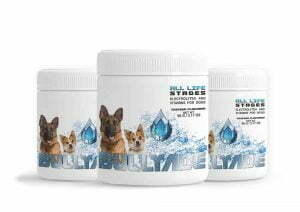 Electrolyte supplements are a sustainable solution to ensuring your pup stays hydrated and also gets the necessary nutrients in his body. Electrolytes are important for restoring muscle function and also aiding other physiological processes like digestion, blood circulation, and nutrient absorption. These supplements also pack a lot of sodium, chloride, and potassium lost during vomiting and diarrhea. Your dog needs these minerals for weight gain and also to boost his immune system. Chicken or beef broth is an excellent way on how to rehydrate a sick dog. This option works best if your pup is dehydrated but still is not taking his water. The broth has a chicken or beef flavor he likes and will slurp the entire bowl in seconds. Not only is he getting tasty nutrients into his system he is also rehydrating at the same time. 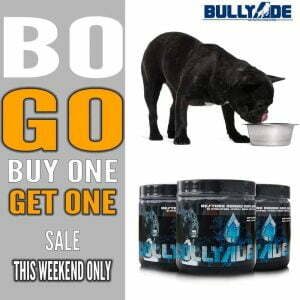 Fortunately, you can pair broth with electrolyte supplements (Bullyade) that have a chicken or beef flavor as well. You only need to add the electrolyte supplement in his drinking water to entice him to drink. It always works. Your pooch has been through a long bout of sickness so why not nurse him back to full health with some nice frozen treats? Popsicles, or pupsicles as he likes them, are great for cooling the heat off and also rehydrating his system. Experiment with whole fruit, banana-peanut, watermelon, pumpkin, bacon, and apple-honey pupsicles. Throw in some electrolyte supplement in the ingredient to ensure he is not missing out on his nutrients. As your pooch recovers from sickness, it would be a good time to introduce wet foods to him. The moisture content in wet food helps rehydrate his system as well. If he was on dry kibble before, just mix the kibble with some wet food as a new diet. He will be good to go.